“Absolutely thrilled with our wedding photo’s and the professionalism of Helen and Paul on the day of our wedding. They worked with us completely and gave us the personalised ‘relaxed photography’ mood which we asked for. We were never rushed away from our guests and were given all the breaks we asked for in order to mingle. We are in love with the ‘natural’ shots that have been captured of our special day. It is going to be so difficult to choose which ones to display in our home. Worth every penny! Helen and Paul have perfectly captured so many beautiful memories for us to cherish. “I can’t been begin to describe how amazing Helen and Paul are. There photos speak for themselves! The emotion the photos of others weddings provoked could only mean one thing, book them! The emotions they capture in the photos are unlike anything I have ever seen. I still cry at my wedding photos. I can’t recommend them highly enough. 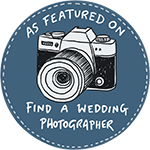 “Trying to choose a photographer for your wedding is always hard, but Helen’s eye for the little details us Brides spend hours thinking about is what made me go and see her and Paul. I’m not one for pushy sales and she was so relaxed and friendly, so we booked. The engagement shoot was definitely worth having- made us so much more comfortable to know how to be on the ‘big day’. As for our wedding day- they were both amazing and captured everything I wanted. Nothing was too much trouble. I am so happy with all of the photos and the album – I couldn’t believe how quickly it all arrived. Friends and family have all loved them and comment how there is a good mix of “posed” photos and then more relaxed/natural ones. I can’t recommend Helen and Paul enough, I will definitely use them again in the future.